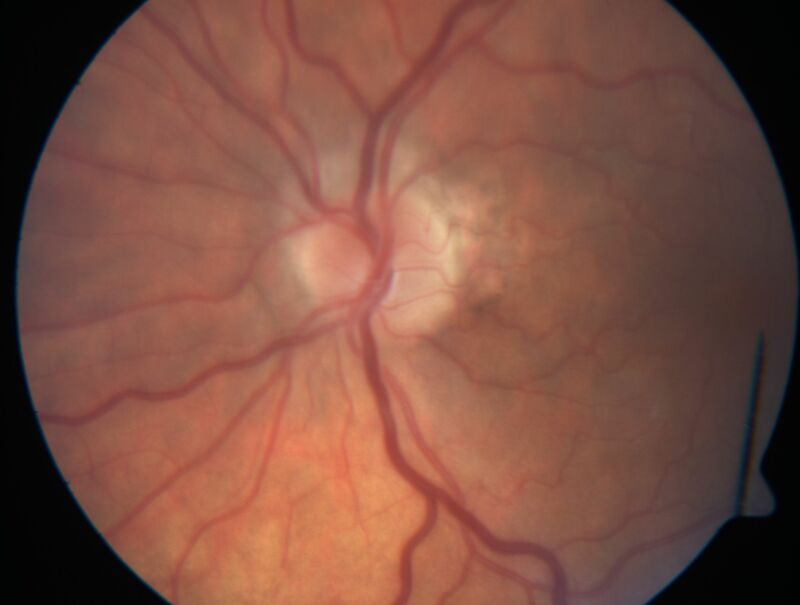 72-year-old woman sudden vision loss in the right eye about four days ago. She also has noticed that things are dim out of that eye. She has no headaches. She does feel a little tired. She has no pain in her jaw when she chews and she has no fevers.